Raw Apple cider vinegar is expensive to purchase. 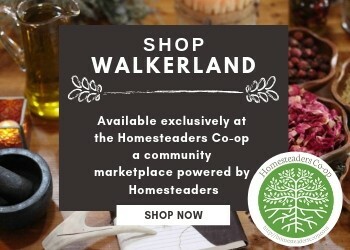 It is a valuable staple in the kitchen and home remedy box. Why not make your own unlimited supply? Apple cider vinegar is extremely easy and cheap to make at home. You can make a lot using big two gallon crocks or you can make smaller amounts using mason jars. 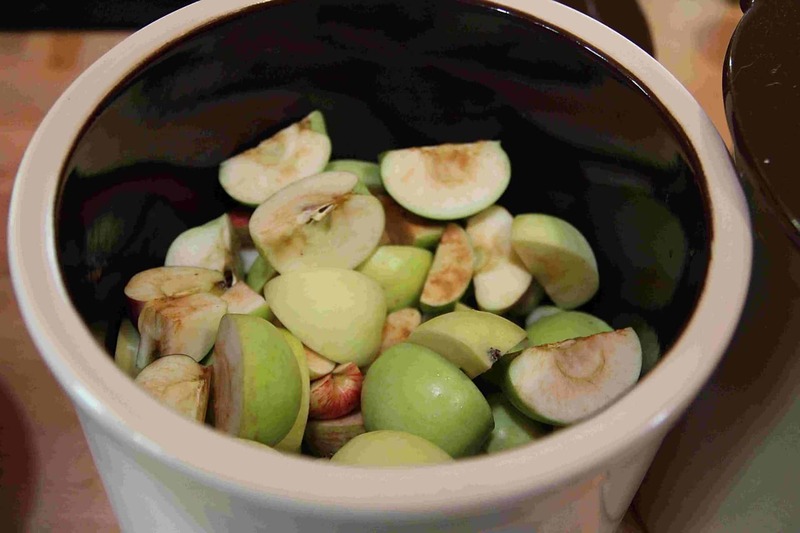 All you need is: Apples to fill your container 3/4 full and enough filtered water to completely cover the apples. The best part about creating your own apple cider vinegar is that you often get a mother, something highly revered in the health food circuit. You can use the mother to speed up the process of making future batches of ACV or for making other vinegars such as wine vinegar. Just add the mother once you have strained out the solids. 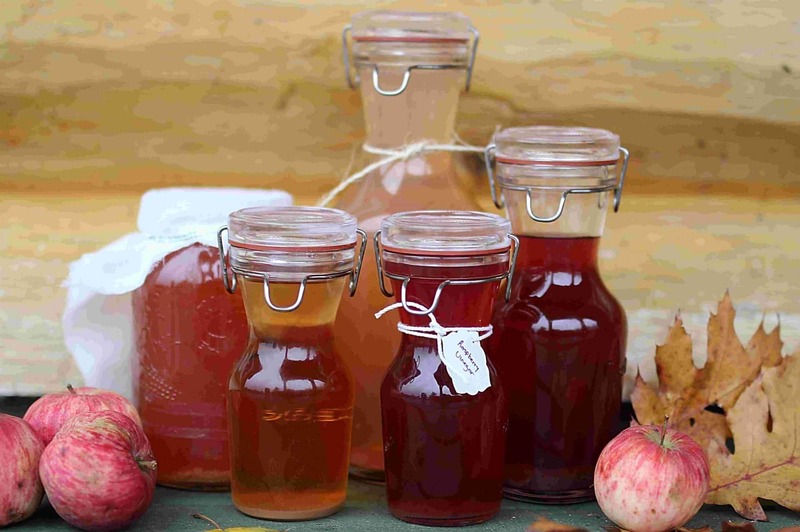 Once you’ve made apple cider vinegar you will want to consider making wine vinegar and fire cider. I can guarantee that they will taste better than any you’ve had from the store. You can get the instructions for wine vinegar here and fire cider here! Clean your jars and containers well with hot soapy water and let dry. Wash and scrub your apples and then chop them up roughly. You can also use apple scraps, peels and cores. 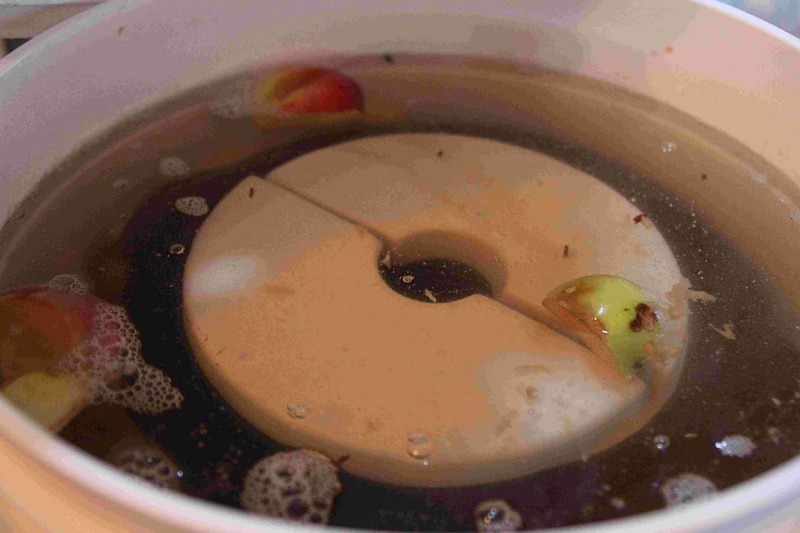 Pour filtered (purified) water over your apples and cover them completely. You don't want to use city water right from the tap if it contains chlorine, fluoride or other additives. Add a weight to the jar to hold down all of the apples. Make sure there is an inch of liquid over the apples. 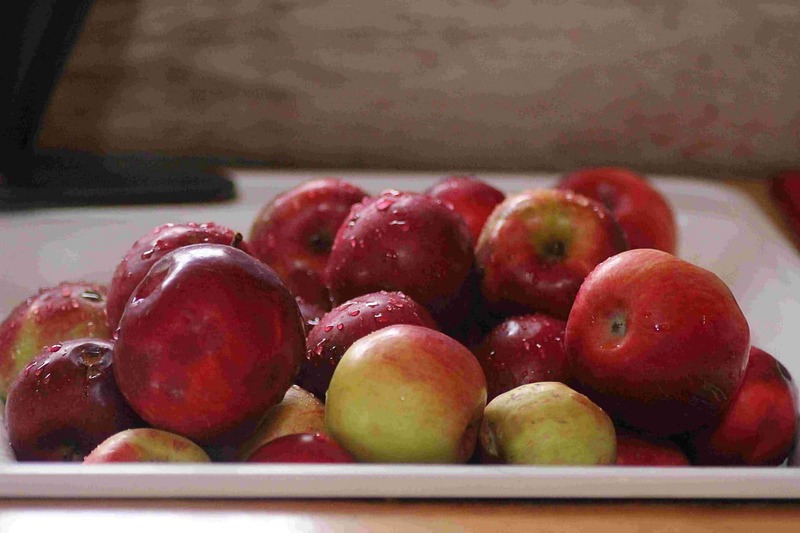 Apples that get exposed to air will go bad and ruin your apple cider vinegar. Cover the container with cheese cloth or cotton fabric and secure with a rubber band or twine. Store in a dark place such as a large cupboard for three to four weeks. Check every few days to see how it is progressing. You should see some bubbles on the surface and over time the liquid will darken a bit. Strain the apples from the liquid and return the liquid to the container. Cover it again with the cloth and rubber band and return it to its storage place for another three to four weeks. Give it a stir a few times per week. Taste the vinegar until it's to your liking (usually three to four weeks.). Re-bottle adding a cap and store in a cool/dark pantry or cupboard. TIP: You will start to notice a gelatinous type of form on top of your vinegar. This is "the mother". You can accelerate future apple cider vinegar making by adding the mother to the jar after you have strained out the solids. You can also use it to make wine vinegar with left over wine! Does ACV ever go bad. I made some last year and still have some. 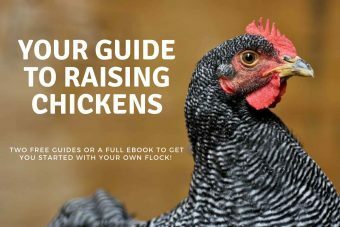 I am wondering if it is safe to give to my chickens in their water. Hi Mary. Vinegar does not typically go bad. The quality degrades over time (years) but unless it looks/smells bad it will be safe to use. Thanks a bunch. I thought it was good forever but not sure. I overthink things sometimes so hubby says. Thanks again. Glad I could help! I over think things too. It’s a good thing right? I can’t wait to make my own vinegar this fall! Does the pantry or cupboard need to be warm or cool? I tried to make a ginger bug this spring but the house was too cool and was wondering if the same thing would happen with the vinegar. I’m wondering if the quality of the vinegar would be affected by using summer apples instead of winter apples. What do you think? I made some raw apple cinder but after the 3 week fermentation (with the apples still in), instead of having the second fermentation, I bottled the fluid. Have I ruined the process by doing this. Can I do anything to save it and proceed with the next stage. I would remove the lid and cover it with cheesecloth to continue to the next ferment. There are factors that I just can’t be sure of without seeing it for myself but I expect everything will work out fine. If you happen to have some raw apple cider vinegar in your pantry, you could also add a few tbsp to boost it along. I think this should work out fine for you but if not, don’t give up – the first batch is always the trickiest.